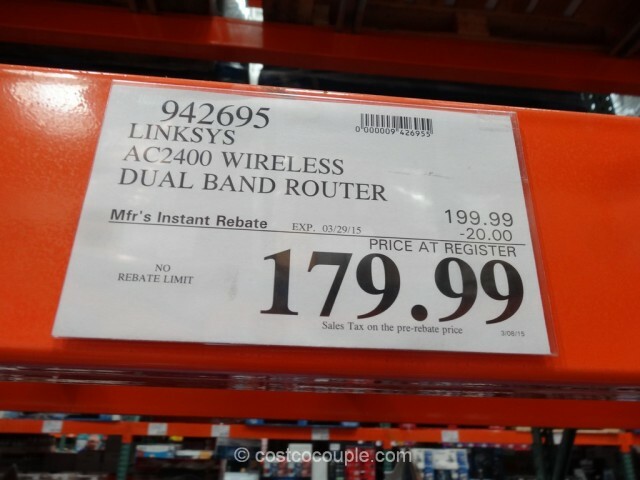 UPDATE 03/14/15: Spotted a $20 instant rebate for the Linksys AC2400 Wireless Dual Band Router. 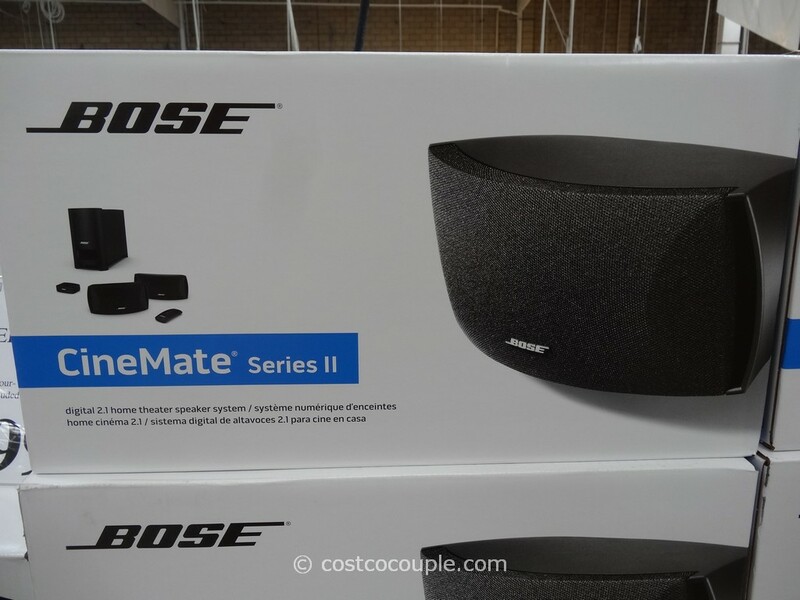 Price is $179.99 till 03/29/15. 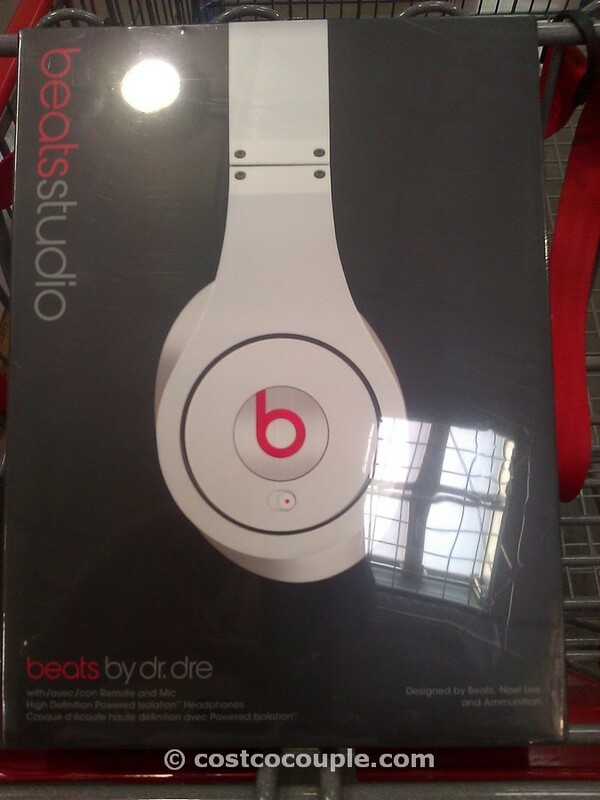 Item number 942695. 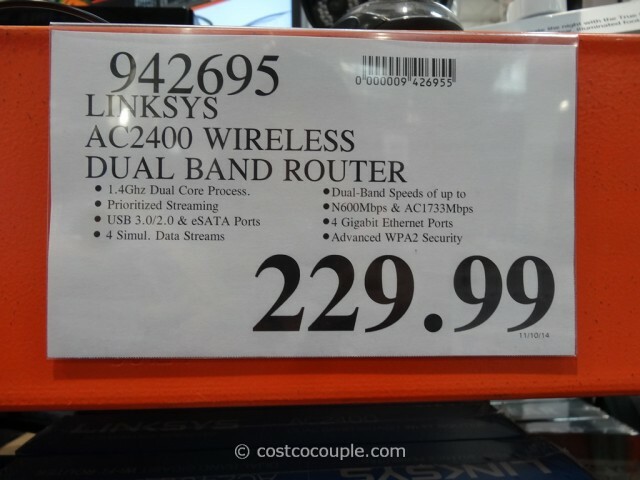 PUBLISHED 12/07/14: The Linksys AC2400 Wireless Dual Band Router is the latest and fastest router (and also the most expensive) that we’ve seen at Costco so far. 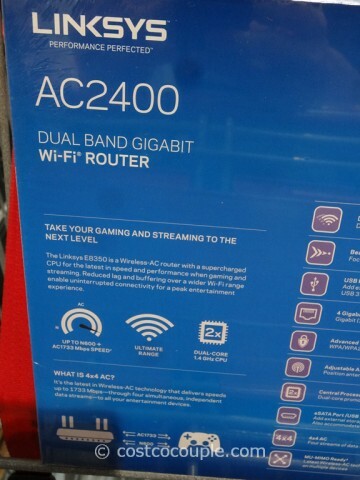 The router features the latest technology in Wireless-AC, and it delivers 4 data streams, instead of the traditional 2 or 3, to all your devices so you can stream HD movies or play online games with blazing speeds. 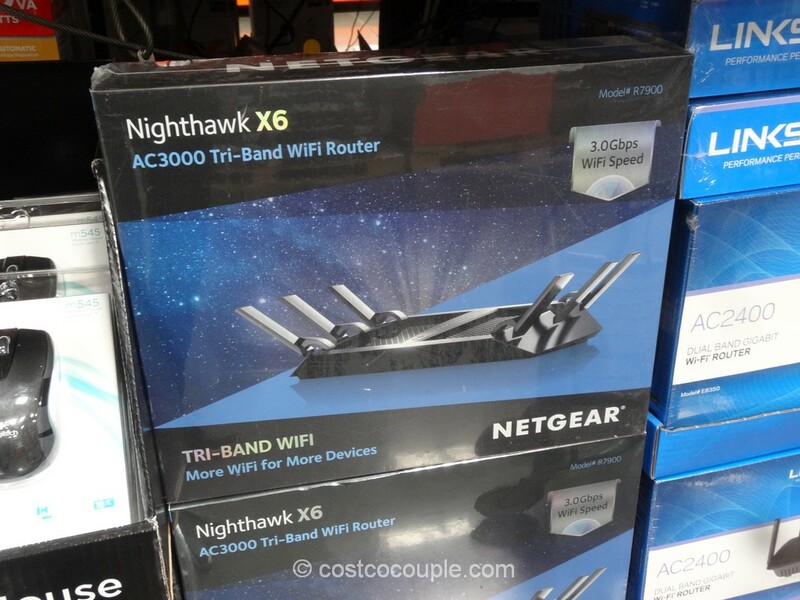 The router also comes with 4Gigabit Ethernet ports, which are 10 times faster than fast ethernet, to provide the fastest wired speeds. 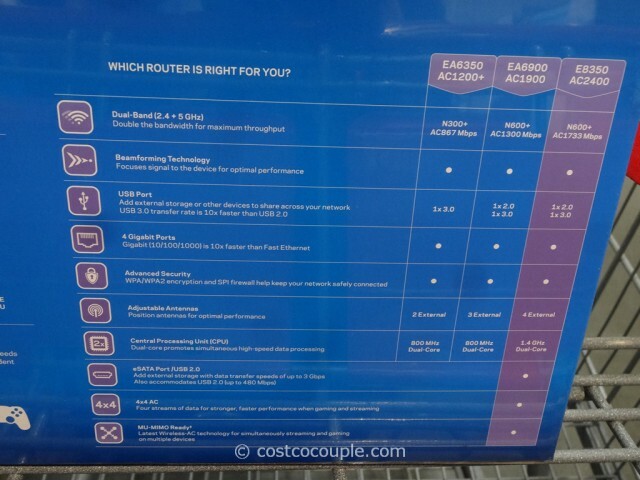 There is one USB 3.0 port so you can connect your portable hard drive or other devices. 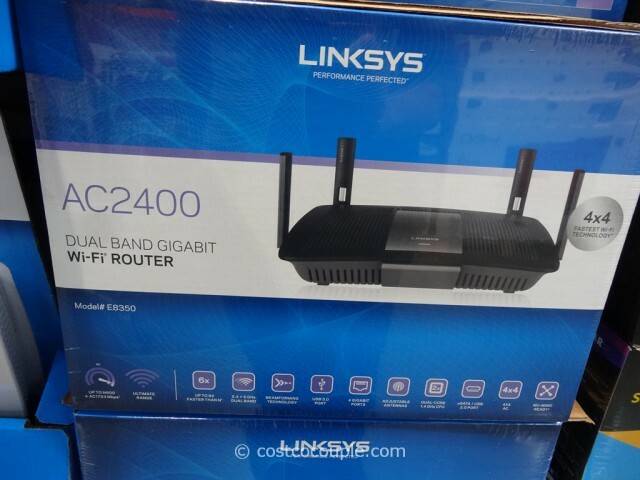 The Linksys AC2400 Wireless Dual Band Router is priced at $229.99.